If you want to feel great – get enough sleep! If you want lose weight or maintain your weight – get enough sleep! If you want to look fabulous – get enough sleep! Put all ingredients in food processor and blend until thoroughly mixed. Form into balls and enjoy! Form into balls or any shape you like. They’d be delicious rolled in raw coconut flakes. 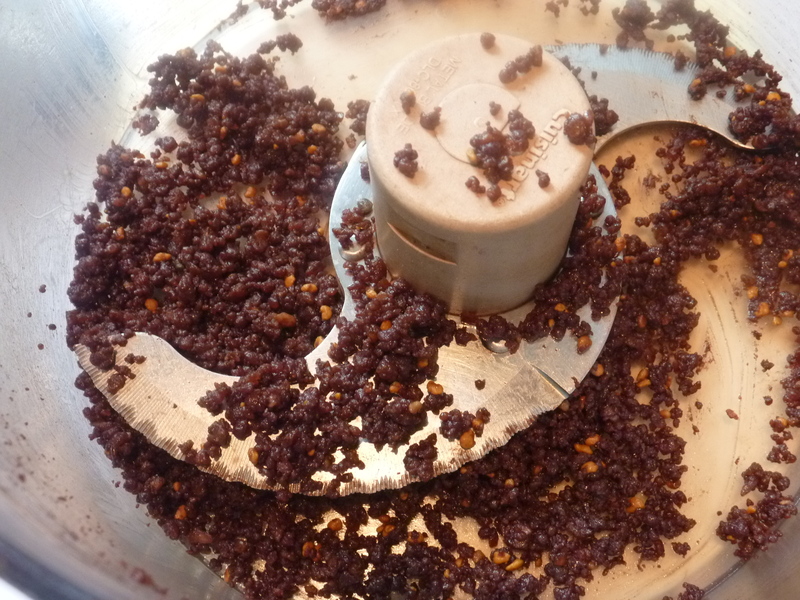 After wizzing them up the truffle mix is crumbly, but form a ball and they'll hold together. The truffles did their pick-me-up job, in fact a little too well! These little raw truffles pack a cacao caffeine punch. I’m very sensitive to caffeine anyway, but these tasty morsels kept me awake all day and well into the next night! So, what’s a gal to do when, yet again, she hasn’t slept well (besides the obvious – a nap!)? I reached for a much gentler stimulant – my wonderful Goji Berry Tea. I slept very well the next night. Raw Cacao Truffles – Healthy candy! These rich tasting truffles are a treat that treats you well! They are easy and quick to make. I often whip them up for a quick desert for company. But, I must say they are perfect to keep on hand for when you need a little sweet treat for yourself.